This week I completed my 54th 5k Park Run. I was pretty pleased and often see others at Wycombe Rye Park Run wearing their exclusive t-shirts. 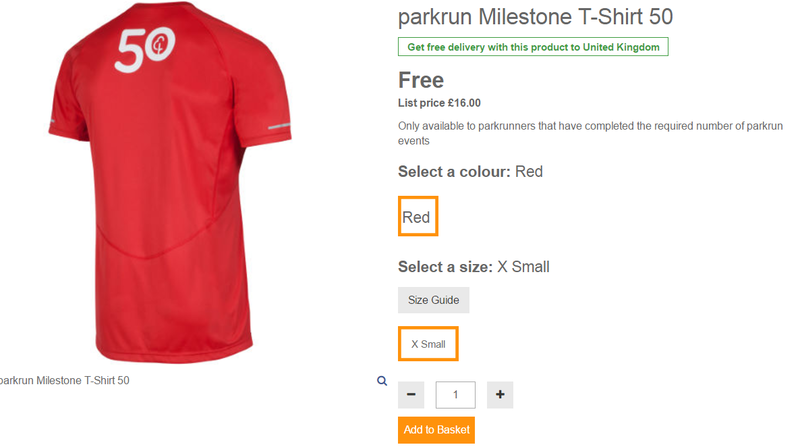 In fact, their is a FREE 50th Park Run T-Shirt available for those that reach this milestone. And I felt that maybe I deserved one too. After all, running 250 kilometers is the equivalent of running from London to Cardiff. So I followed the instructions on the park run site, you have to click through on the email to your profile and then follow the club progress link on the profile to order your t-shirt. You also then have to have an account with wiggle.co.uk – which is the partner that supplies the merchandise. Oh, and there’s one more thing – until there’s more stock – you have to be extra small. That’s not me, so I guess I’ll just have to wait and check back in a few weeks.